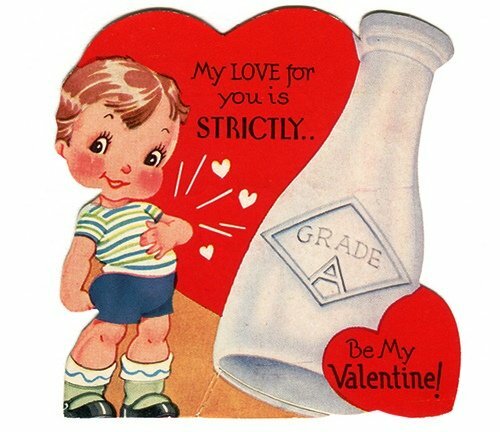 There are several legends surrounding the origin of Valentine’s Day – and no, they have nothing to do with the greeting card industry. In fact, the most widely accepted stories are all rooted in the Catholic Church and their three saints named Valentine or Valentinus who were all martyred. The first claims that Valentine was a Roman priest who served during the third century, when Emperor Claudius II decided that single men would make better soldiers than those with wives and families so he forbad young men from getting married. Father Valentine decided such a decree was silly and defied the Emperor by secretly performing marriage ceremonies for young couples. When the priest’s actions were discovered, Claudius demanded that Valentine be put to death. According to another story, Valentine attempted to help Christians escape the horrendous Roman prisons where they were often tortured, and was killed because of it. No matter what the real origin of Valentine’s Day may be, it’s clear that Saint Valentine was a sympathetic and heroic man; and perhaps most importantly, a romantic one. It is in his spirit that people around the world celebrate love on Valentine’s Day. The Calaveras County area has several fun and family friendly activities happening on or around Tuesday February 14th, 2012. Raffle tickets are $10 each and can be purchased in Jackson at the Hospice Offices located at 1500 S. Hwy 49, at Gold Mine Jewelers on Main St, and Hospice Thrift Store on Argonaut Lane; in Burson at Rising Sun Nursery, in Sutter Creek at FineEye Gallery, in Angels Camp at the Hospice Thrift Store and US Bank, as well as La Contenta Golf Course Course in Valley Springs and the Muphy’s Historic Hotel. Spend $100 for 10 tickets and receive an additional 10 tickets as well as a delicious Valentine’s Day treat from Andrae’s Bakery in Amador City, or a $5 gift certificate from Aria Bakery & Espresso Cafe in Murphys. Prizes include a 4 night stay in Yosemite, 20 rounds of golf, a trip for 4 to Cabo San Lucas, and diamond earrings. The drawing will be held at 4pm at the Jackson Hospice Thrift Store; need not be present to win. Located at the First Congregational Church of Murphys on the corner of Church and Algiers, one block up Algiers from Murphys Hotel; admission to the festival is $10 and includes all-you-can-eat chocolate! Proceeds from the event will be donated to the missions of FCCM Women’s Fellowship, including Heifer International, Global Missions, Habitat for Humanity, Resource Connection for Calaveras County, Women’s Crisis Center, Santa’s Express and Harmony Ranch. Festivities begin at 2pm and end at 5pm. For tickets or more information call Connie Cook (209)728-3306 or Marilyn Baisel (209)728-8098. An entertaining evening at the Black Bart Playhouse with great live music and prizes; fun for all ages, this year features the Tour Guides (www.tourguidesmusic.com) and special guests Cantamos. Benefits the local non-profit group Ebbetts Pass Forest Watch (www.forestwatchers.org); tickets available at Murphys Music Company, Sustenance Books, and SNAC. Music starts at 7pm. Romantic Valentine’s Dinner at the La Contenta Golf Club’s Vista Grille Restaurant; reservations a must, call (209) 772-1082 for information. This entry was posted on Wednesday, February 1st, 2012 at 11:08 PM	and is filed under Misc.. Both comments and pings are currently closed.